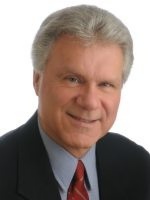 I purchased my home in early September 2018 and George Prazmowski represented me as the purchaser's agent. I was extremely impressed by George's commitment throughout all stages leading up to and including the purchase, as well as subsequent follow up post-purchase to ensure there were no outstanding issues or concerns on my part. A the outset he responded promptly to my short notice requests in arranging for home viewings within my desired parameters. He also allowed adequate spacing between appointments to allow me suitable time to carefully assess and consider prospective homes without feeling overwhelmed. While he was quick to point out positive aspects of each visited home, he was particularly helpful in identifying potential problem areas. During the preparation, issue and negotiation of the Purchase Offer for my new home, George was very thorough and carefully went through the process and documentation with me. He also completed a review of comparable homes to ensure the purchase price was within reason. At no time did I ever feel that I was blindingly signing documents. When I signed the final Purchase Agreement I was totally confident that all was in order and felt comfortable with the entire process. I also appreciated George providing recommendations on Home Inspectors and Lawyers that were conveniently located for me and within an appropriate fee scale. In closing, I would have no hesitation to recommend George as an agent for anyone seeking to purchase a home.